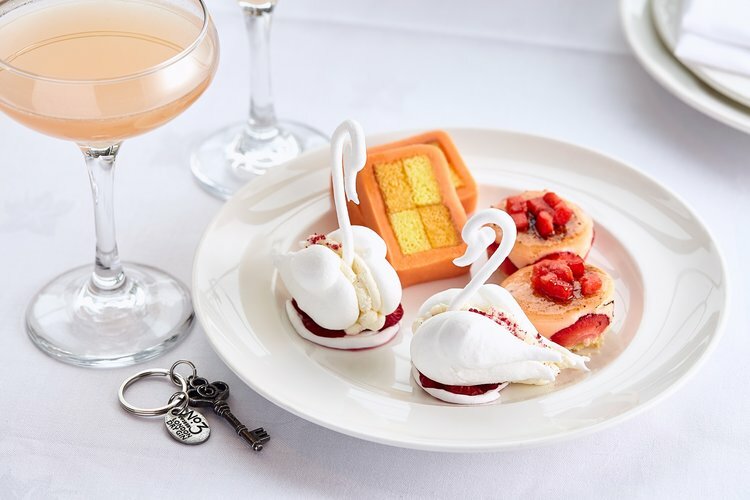 Fancy swanning off to try the One Square summer afternoon tea? 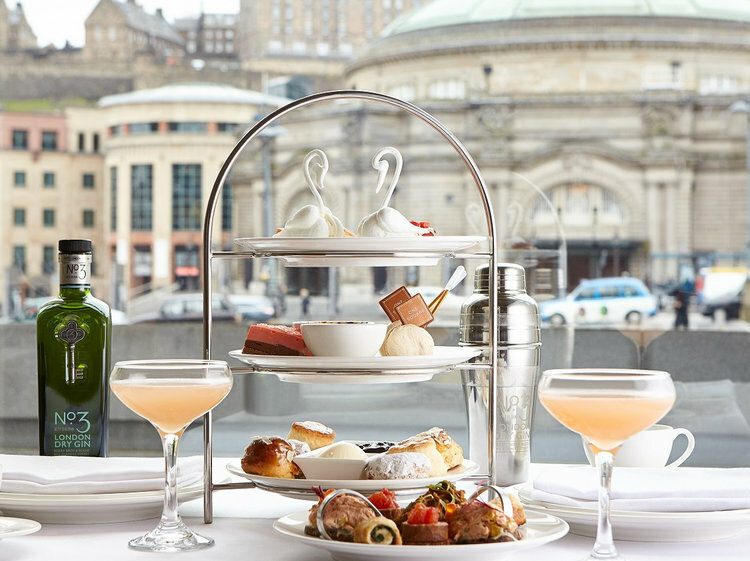 Yesterday, we drew your attention to National Afternoon Tea Week and pointed out a handful of venues where you might wish to take afternoon tea in Glasgow. Today, we turn our attention to Edinburgh. With the various festivals in full bonkers flow, the idea of setting aside a tranquil hour or two in which to enjoy cake, peace and quiet seems pertinent. Of course, the 5pm Afternoon Tea page makes it easy to find and book afternoon tea offers in your area. 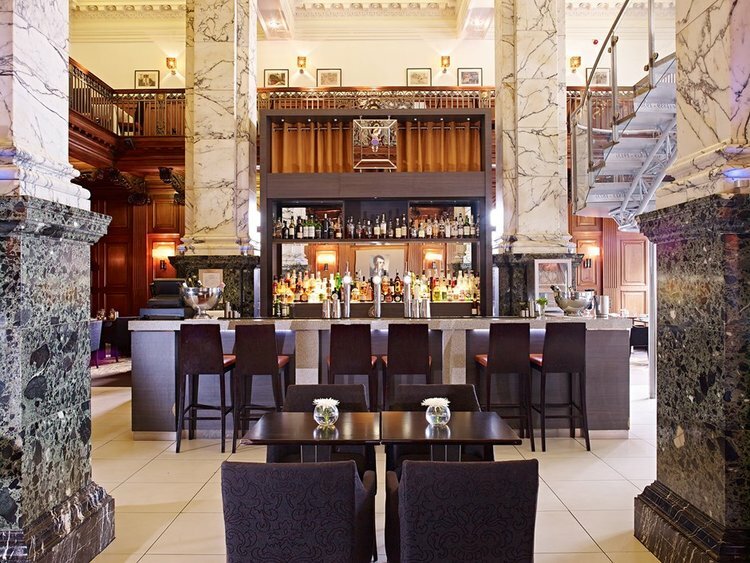 North Bridge Brasserie at The Scotsman Hotel: ideal for marble columns, wood paneling and afternoon tea. We’ll kick off with a Big Deal we are currently running with The Scotsman Hotel. Available seven days a week, the £39 offer is for two people to enjoy a relaxing day using the facilities in The Scotsman Spa & Health Club. As well as a 25% discount on any pre-booked spa treatments, the offer also includes a splendid afternoon tea in the wood paneled North Bridge Brasserie, holder of an AA Rosette. 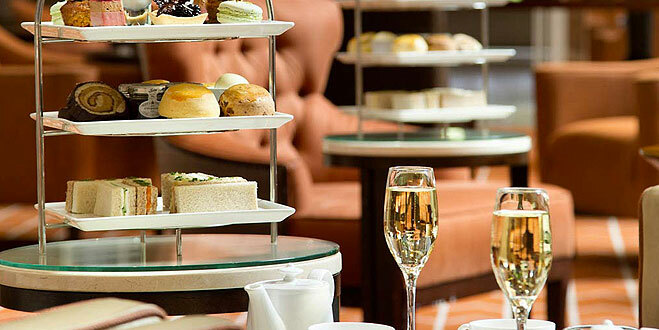 If you want to add some bubbles to your afternoon tea then option two vouchers include a glass of Prosecco. There is a £5 per person supplement for Saturday and Sunday visits. Head Chef Paul Hartley Barber has worked with some of the most prestigious chefs in the UK and he is passionate about making local produce shine. Among other treats, afternoon tea at the North Bridge Brasserie includes sandwiches such as smoked salmon and cream cheese roulade on rye bread plus truffled egg mayonnaise on wholemeal. The Big Deal is £39 for 2 people to have afternoon tea plus a spa day. One Square looks out over Festival Square to the Usher Hall and Castle. The 5pm Dining blog always covers the seasonal afternoon teas created by the kitchen brigade at One Square. Paired with one of the dozens of carefully selected gins which they stock at the bar, their seasonal afternoon teas are as inventive as they are beautifully presented. They also make good use of Scottish produce. The current No. 3 Gin afternoon tea features individual cheesecakes made with strawbs from Bruce Farms in Perthshire. Priced at £27 a person, it is served with either: a summery No.3 Gin cocktail with cardamom and coriander syrup, orange bitters and fresh pink grapefruit juice or your choice of enveloped or loose leaf tea. You can book One Square via 5pm. Afternoon tea in Peacock Alley is always popular. Back in the day, Peacock Alley was the station concourse in this former railway hotel. Recalling the glamour of the former Caledonian hotel and the Waldorf Astoria New York, on which it is modelled, Peacock Alley is a chic spot for a memorable afternoon tea. Patisserie fans can look forward to an afternoon tea which features appealing cakes such as the coconut cupcake with pineapple curd or the coffee and caramelised walnut macaroon. Afternoon tea for one starts at £28 in Peacock Alley. 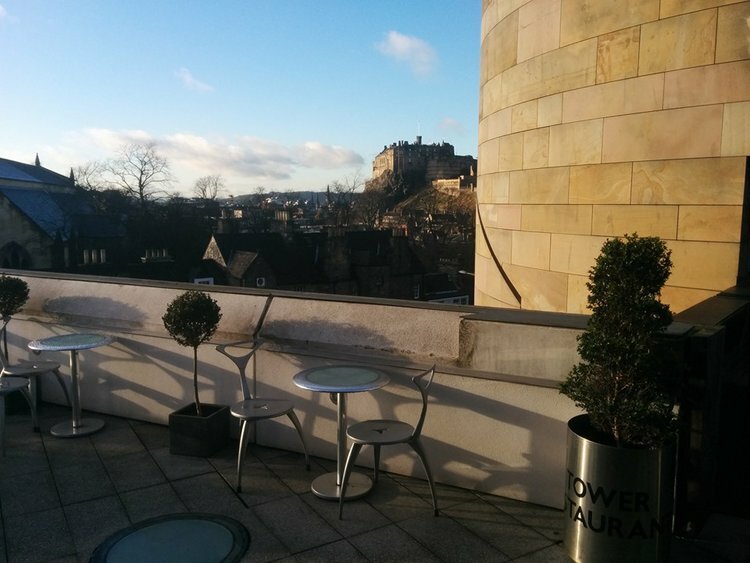 The terrace at Tower Restaurant has views to Edinburgh Castle. Tower Restaurant is a sleek and elegant rooftop venue in the Old Town. It is located within (or should that be on?) one of Edinburgh’s most visited buildings – the National Museum of Scotland on Chambers Street. If the weather is feeling kind, guests can enjoy afternoon tea on the rooftop terrace with its great views of Edinburgh castle and the historic city skyline. The Tower’s afternoon tea includes open and closed sandwiches, warm savouries, fresh scones and a seasonal selection of baking from the restaurant’s expert pastry chefs – all piled high on Scottish slate cake stands. Apparently, Barry Humphries, A.K.A. Dame Edna, was in earlier this week. Afternoon tea is £22.50 and can be booked via Tower Restaurant’s 5pm page.